Nestled beside the Passaic River on four acres that are part of the 40-acre Farmstead Park, the Farmstead provides the ideal environment for artists to practice their craft. Farmstead Arts offers art classes, workshops, art exhibits, theater and concerts. Local artists utilize the rooms in the historic house for individual studio space. 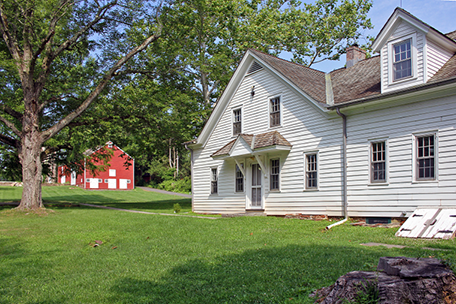 Farmstead Arts Center is located on an historic site dating back to before the Revolutionary War. The arts center is located on the grounds of the historic Kennedy Martin Stelle Farmstead, an on-going restoration project centered around buildings that date back to the 18th and early 19th centuries that are listed on the New Jersey and National Registers of Historic Places. The site was acquired by Bernards Township in 1999 through its open space trust and is leased to the Friends of the Kennedy Martin Stelle Farmstead.